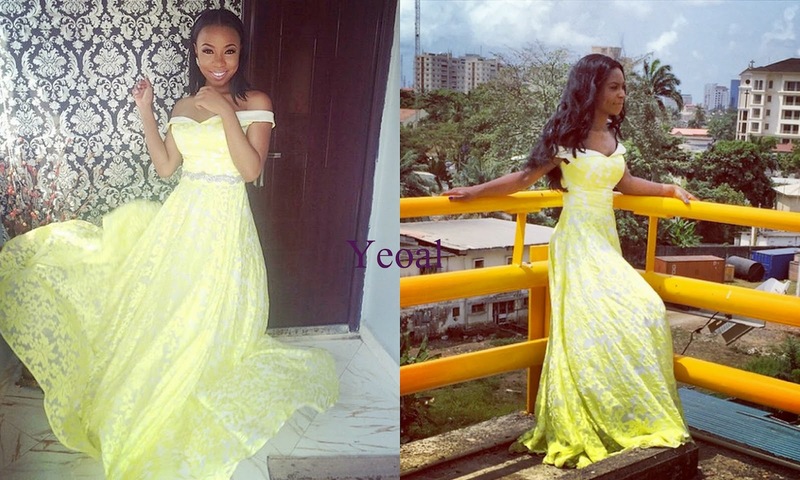 Both Nigerian musicians rocked this yellow April by Kunbi creation on different occasions. While Mocheddah wore hers to Pastor Pegu's wedding, Niyola wore hers during a photo shoot. And yeah, they both wore their hair in centre parts, one bone straight the other wore it in cascading curls. Who rocked the dress better though?